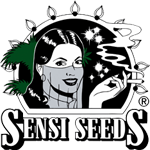 Sensi Seeds - Shiva Shanti II. Free US delivery. Sensi Seeds Shiva Shanti II is the sister of the sisters. Shiva Shanti II has all the beautiful qualities as the original Shiva Shanti but with less of the pungent garlic bud aroma. Shiva Shanti II is a medium strength 4-way Indica hybrid that stays short and compact and her cannabis seeds produces large, thick, solid buds with a lighter aroma than Shiva Shanti, a deliciously smooth marijuana with skunk flavour and a gentle relaxing body sensation. 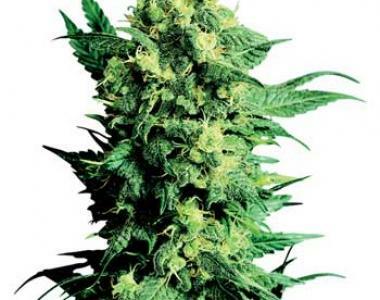 Because this is a 4-way cannabis hybrid it is not as easy to grow as the original Shiva Shanti, but still yields large amounts of high quality, heavy resinous buds.